Spring has officially arrived in Big Bear and the weather couldn’t be more perfect! We are expecting highs in the low to mid 60’s for the next week with sunny skies. The trees and flowers are blooming and it is absolutely gorgeous!! Big Bear Lake is now open for boating and marinas are opening beginning this weekend. The weather is also perfect for taking a stroll or bike ride along the lakeside pedal path. If you want to get a last few runs in at the slopes, this weekend is it. Big Bear Mountain Resorts will close for the winter season the end of day Sunday. 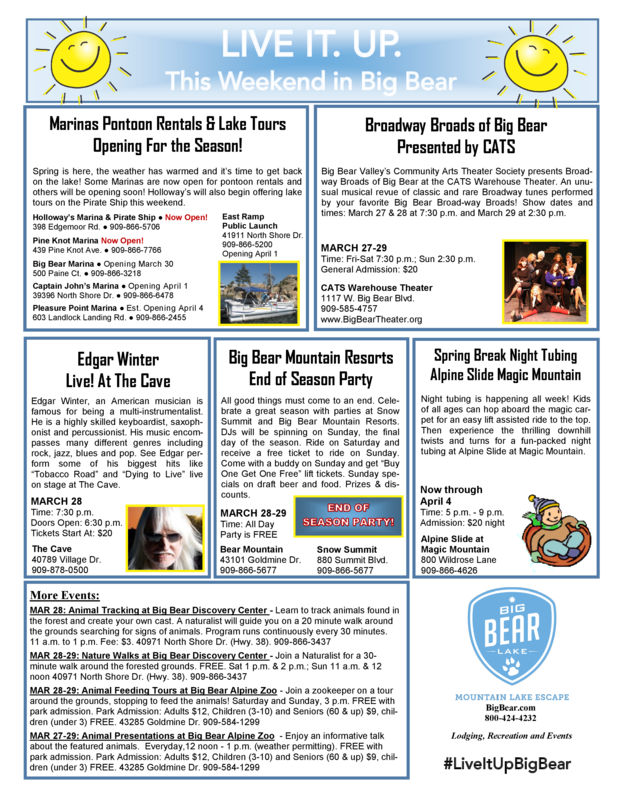 They are offering some specials for the weekend and are hosting a FREE end of season party at Bear Mountain. See details on the flyer below. 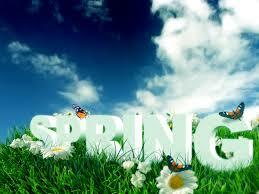 Springtime in Big Bear not only brings beautiful weather but lower off-season prices as well. Check out our low, spring rates at RSVacations.net. Our beautiful cabins are the perfect place to make some lasting family memories. Book your Big Bear Cabin today!